Havana, Cuba, Mar 29.- Up next, the English version of the article written by the historic leader of the Cuban Revolution, Fidel Castro, entitled Brother Obama, as published by the Granma newspaper. Writing is a way to be useful if you believe that our long-suffering humanity must be better, and more fully educated, given the incredible ignorance in which we are all enveloped, with the exception of researchers who in the sciences seek satisfactory answers. This is a word which implies in a few letters its immense content. 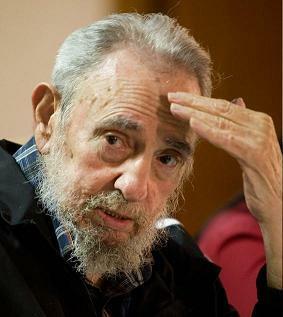 Havana, Cuba, Oct 8.- In his most recent article, "Uncertain Future" published on Granma newspaper, Cuban Revolution leader Fidel Castro criticizes the stance assumed by the new general secretary of the North Atlantic Treaty Organization (NATO), praises the work of Stephen Hawking and referss to a Russia Today article on the Big Bang Theory. Hardly three days ago we were visited by a high-ranking leader of the Communist Party of Vietnam. Before leaving, he told me he wanted me to write something about my memories of my visit to the liberated territory of Vietnam during its heroic struggle against the Yankee troops in the southern region of that country. What moved me to write was the fact that very serious events will be happening very soon. In our times, our species hardly spend ten or fifteen years without facing a true risk of disappearing. Neither Obama nor anybody else could ensure otherwise. I say this from a realistic perspective, since only the truth could offer to us a little more wellbeing and a breath of hope. We have come of age when it comes to knowledge. We have no right to deceive others or ourselves. A few days ago I referred to the great challenges humankind is facing today. Intelligent life has been on our planet for around 200,000 years, unless some new discoveries show otherwise.